It all started with Klout, the social media influence measuring site. @thebooksluts wanted to be shown as influential in Star Trek, and even promised to write a ballad in honour of the person helping her to accomplish this. Being in a good mood and with benign feelings towards my fellow human beings (shut up – it does happen! ), I set about to add the topic to her Klout profile. However, no matter how I tried I couldn’t get it to work, not even with the kind assistance of @AmandaStratton. But since @heinakroon tried oh-so-hard to complete the mission, I shall write a ballad anyway. And maybe one about @AmandaStratton. This is exciting! I’ve never had a ballad written about me before! What would this ballad be about? And by "ballad," I actually mean a bunch of facts strung together with no storyline whatsoever. Because it is too early for a poem. 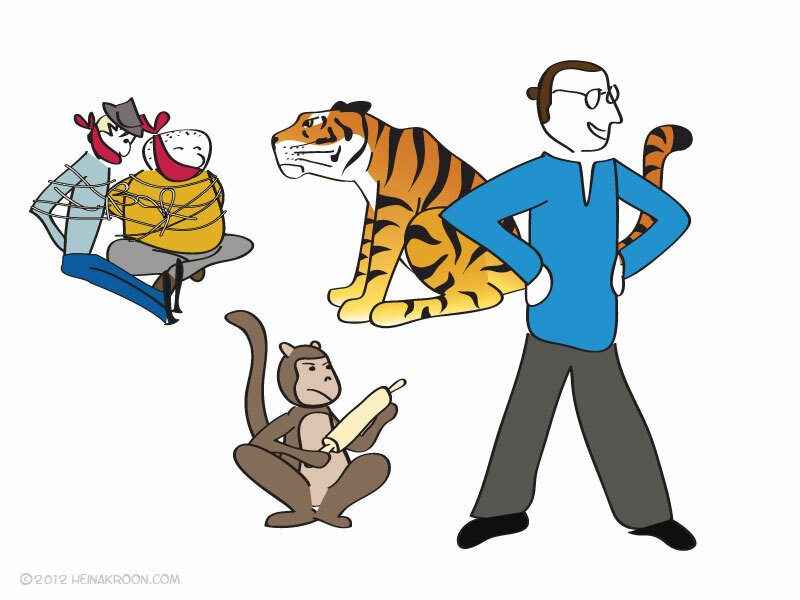 You know that story about the butler in India who found a tiger under the table? That happened to @heinakroon once. Good start! I’ve been to India, many years ago. And I did see several tigers. Don’t remember if I found one under a table, however? Only monkeys. But it was a long time ago, so I might have done and then forgotten about it. But unlike the butler, @heinakroon didn't kill the tiger. He tamed it, and now they're best friends. 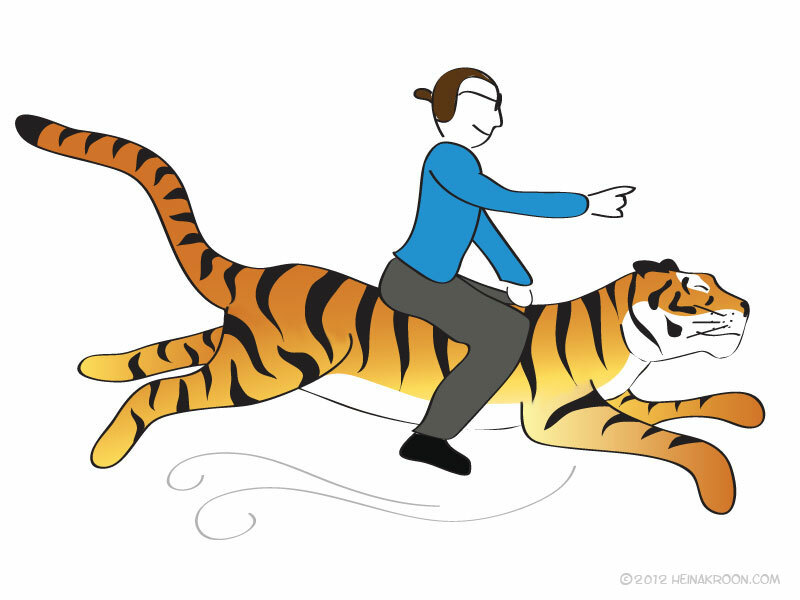 The tiger lets @heinakroon ride him. One day, @heinakroon and his tiger and his monkey were all having a spot of tea when a band of marauders appeared in his kitchen. Well, isn’t that typical! And I like a quiet spot of tea as well. Now I’m getting angry. When the police arrived, they found that @heinakroon had dispatched them all using a tea towel and kitchen twine. Also, a tiger. And don’t forget the monkey! Marauders ignore a monkey with a rolling-pin at their own peril.
.@heinakroon was considered the most desirable hero in all the land. Men and women both flocked to him in hordes, at all hours. But @heinakroon had devised many clever ways of escaping, especially when the person was ugly or whatever. Or rude, or didn't like monkeys. Who doesn’t like monkeys? Rude ugly people, that’s who. One night, the queen of a neighboring kingdom was to visit @heinakroon, but she was cruel, and also had roots like you wouldn't believe. Can she have red hair? I’m going to make her having red hair; badly coloured red hair. 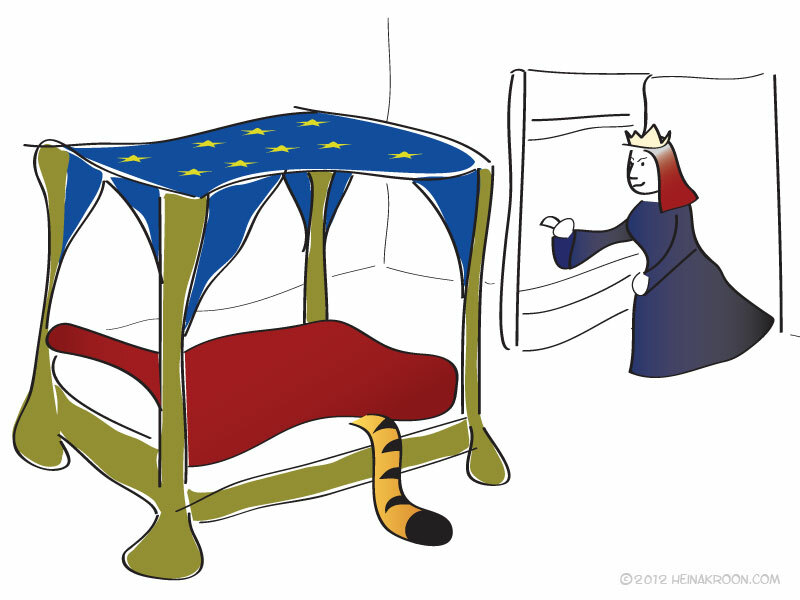 To avoid the cruel, badly-in-need-of-a-color queen, @heinakroon quietly sneaked out, leaving his tiger in bed for the queen to find instead. The tiger asked @heinakroon to be his best man when he married the queen several weeks later. Oh! Didn’t see that one coming! But it was a trap! The queen had used her wiles to trick the tiger to lure @heinakroon to her kingdom. He must marry her or be executed! I hate being executed. It’s one of my pet peeves. 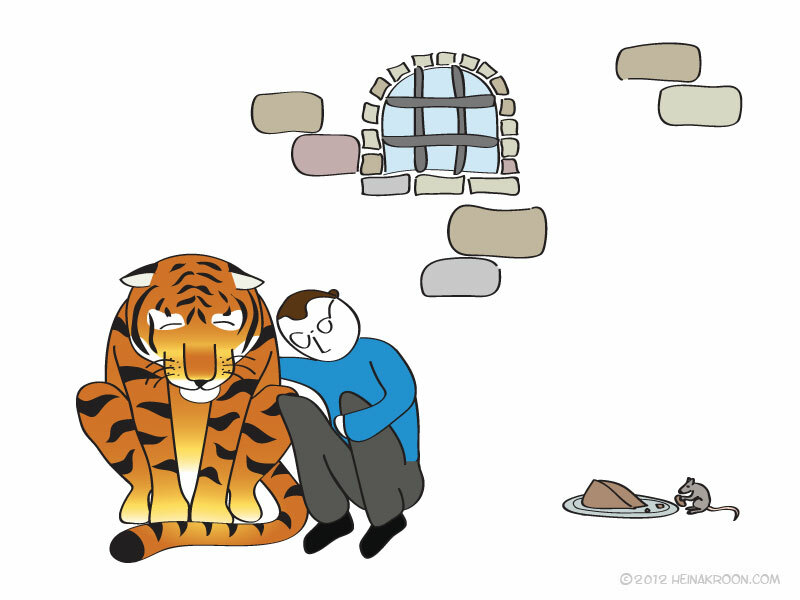 The tiger and @heinakroon had to escape the evil clutches of the cruel queen! But they were locked away in a dungeon until the wedding day. This is true. What’s a death sentence between besties? One morning, a tailor came to fit @heinakroon for his wedding garments. Upon closer inspection, he saw it was his monkey, in disguise! The monkey, the tiger, and @heinakroon disguised themselves as bakers, with big floppy hats, and were sneaking away when someone saw them! Damn it! Just can’t catch a break, can we? What will they do to us now? Mistaken for the real bakers, the trio was now forced to bake the real wedding cake! Baking a whole wedding cake? No pressure then! But it turned out that @heinakroon had once lived with a gorgeous French baker, and thus, baked the most delicious wedding cake. The cake was so delicious that the entire wedding party forgot all about @heinakroon, because they were eating and weeping tears of joy. Well, lack of attention is highly correlated with gluttony. Everybody knows that. So @heinakroon, his tiger, and his monkey were able to steal away, with pockets full of treasure, and some cake, because, come on, cake. 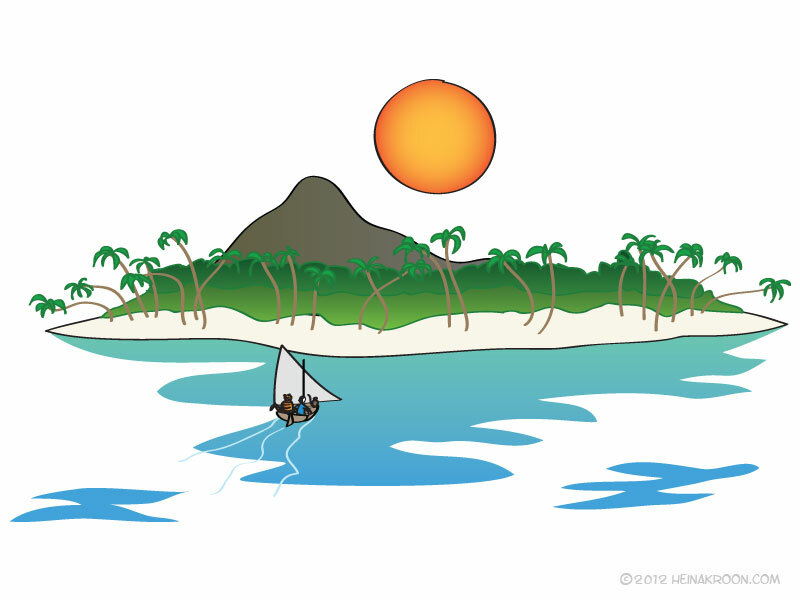 Also, we need something for the road – stealing away is hard work.
.@heinakroon decided that he needed a vacation from the heroic life, so he took his tiger and his monkey and sailed off into the sunset. Damn right! Breaking out of dungeons and escaping death penalties warrants a holiday for sure. They landed on a resplendent beach where the pina coladas flowed like wine. And there they stayed for months–but never fear, adventurers! Wow! That was an awesome ballad! I’m so chuffed to have starred in it! And how accurate it was in all the little details; @thebooksluts sure does know me well. By the way: you’ll be pleased to hear that @thebooksluts is now influential in Star Trek. All’s well that ends well. P.S. A big THANK YOU to @thebooksluts for writing this amazing story – and in real-time, no less! That sure is some impressive improvisational skills! I also feel that I must apologise for not having published this until now, several weeks after the event, but Baby Girl demands a lot of my attention. Plus, I’m not an illustrator, so these simple drawings have taken quite some time to finish. Isn’t @thebooksluts’ story just the best? Pure awesomeness! i’m loving the whole dialogue! Yes, I remember it was great following the development of this story, and be able to discuss it with @thebooksluts in real-time! That’s some mighty fine picture drawing, you done did there! Nice word makin’ from @thebooksluts, also. I finally picked a favorite. It’s the baking photo, because the tiger’s tongue is poking out a bit. Also, it reminds me of the baking scene in Sleeping Beauty, and that’s probably one of my favoritest scenes in all of Disneydom. Thanks! 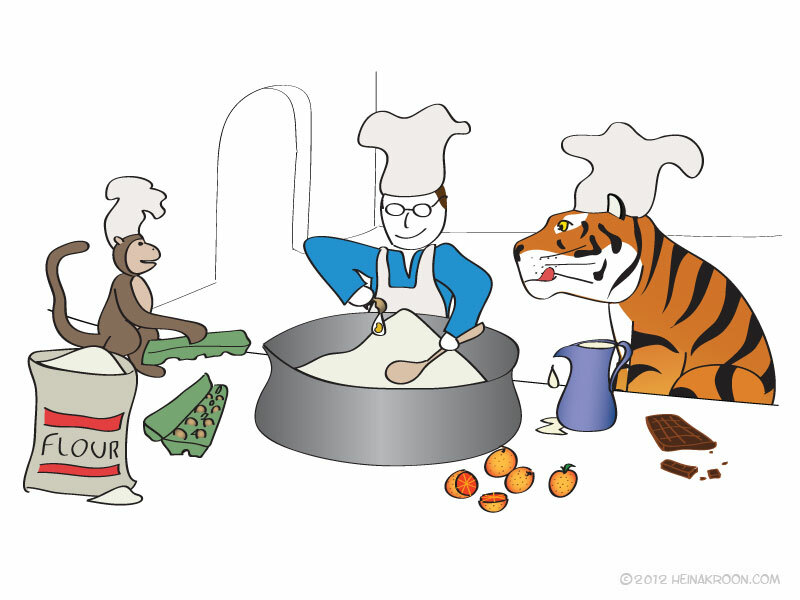 I almost left the tongue out of the drawing (after all, tigers aren’t all that keen on cake); glad I didn’t now. I also just realised there is no sugar in the picture, so it’s either a sugar free cake or the monkey has yet to fetch it from the larder. Read this last night right before bed, and think I actually dreamed about friendly tigers…thought I’d already commented, but here it is. I see these stories sometimes while they’re happening on twitter, and I truly enjoy them. Tried one myself about Amy the little clown, but the reception wasn’t as good as I’d hoped. She didn’t like it? Aw. And with little cute clowns and all. I did like it. But also I was totally creeped out because YOU GUYS. CLOWNS. Sorry. I just can’t get over that. CLOWNS. It was more of an exercise in psychology than anything. Like, how much DO I like Ken? Enough to ignore the fact he’s telling a story about me where I’M A CLOWN? The answer was yes, I do. I like Ken JUST THAT MUCH. Also, Andreas, CLOWNS AREN’T CUTE. Gah. We really need to do something about your coulrophobia, don’t you think? Why, clowns are friendly and cheerful and funny with their painted faces, big swollen red noses and their huge staring eyes.. *shudders* Ok, now I’m awake. I think I’ll need to check the house for clowns. See? SEE? There’s nothing wrong with a little coulrophobia. It keeps you SAFE. From the CLOWNS. I have a reason. It’s half because of the book and movie “It” and half because of the time a clown dragged me onstage at the circus and sang to me. Did I ever blog about that? It was the WORST. OK. that wasn’t even my really real comment, THIS is my really real comment. I remember when this epic saga was unfolding and now here it is! Illustrated! Impressively! I don’t even LIKE monkeys. But I like this monkey. And of course I like tigers. Who doesn’t like tigers? This tiger even bakes. He’s the best. Also, you’ve been to India? I am quite sure all of my internet people live these total lives of international mystery, seriously. SO EXCITING. Except, there were monkeys? Do you mean, like, just running around all willy-nilly? I wold NOT like that. No, no. Not at all. That would make me NERVOUS. 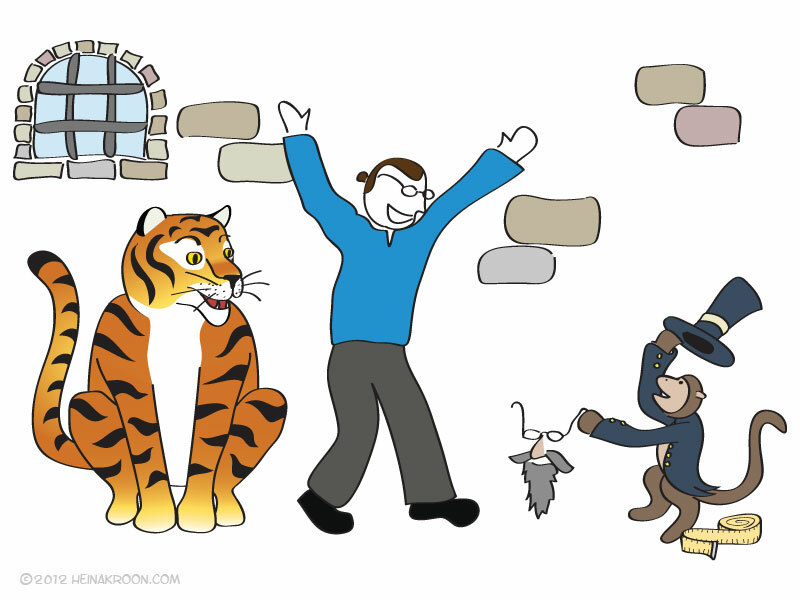 Yes, monkeys running around all willy-nilly. And you’d be right to be nervous; those macaques can be both crafty and vicious. (Side note: isn’t it odd how we celebrate intelligence in ourselves and our pets, but when wild animals exhibit intelligent behaviour they become the most hated of pests? Like rats, seagulls, crows, keas and monkeys. I wonder if that’s because their behaviour conflict with ours (figuring or how to get to our grain, tearing through our rubbish, pulling out and emptying our fishing nets, eating all the rubber seals off our cars or stealing our lunch), or if it’s something deeper, like perhaps we’re a little scared there might be other species around that – in some regards – are as clever, or ever more clever, as us?) As the monkeys quickly become used to humans and lose all respect for us, they take up pilfering, pick-pocketing and even day-light robbery. Keep your possessions tucked safely away or you might find your camera, wallet or car keys disappearing up a tree in the hands of a monkey (ironically, anything we pay particular attention to is considered potentially valuable by macaques, and will be targeted, so don’t be obvious with keeping track of your things). Anyway, I’d recommend going to India at least once; it’s bound to be an adventure (although perhaps not a relaxing holiday). I think I’d be scared of India. Or at least the cities. I’ve seen them on “The Amazing Race” and MAN are they crowded. I don’t like that many people touching me at any given time. Or anyone, actually. Anyone touching me at any given time. ESPECIALLY strangers. Eep. Monkeys are scary because they have fast little hands and are destructive and fling poop and have wizened little old-man faces. What is a kea? This is a thing I have to research today! You have the best theories in all of theory-dom. I’m sad you live so far away. Can you imagine the gigantic fun talks we could have over coffee? SO MUCH FUN THEORIZING! It’s not that crowded. I mean, it is crowded, but overly so. Mumbai is hectic, but getting out to smaller cities and towns it slows down a bit. And Goa is very relaxed, possibly due to its Portuguese heritage. A kea is an alpine parrot from New Zeeland; very clever, very annoying. Aw! Want to have coffee with you now! And the talk and the theorising! Goddammit! Might have to come to the US to visit one day. I’m a little late, but I have to say that this is wonderful! Bravo to both you and @thebooksluts. P.S. Never too late to comment.